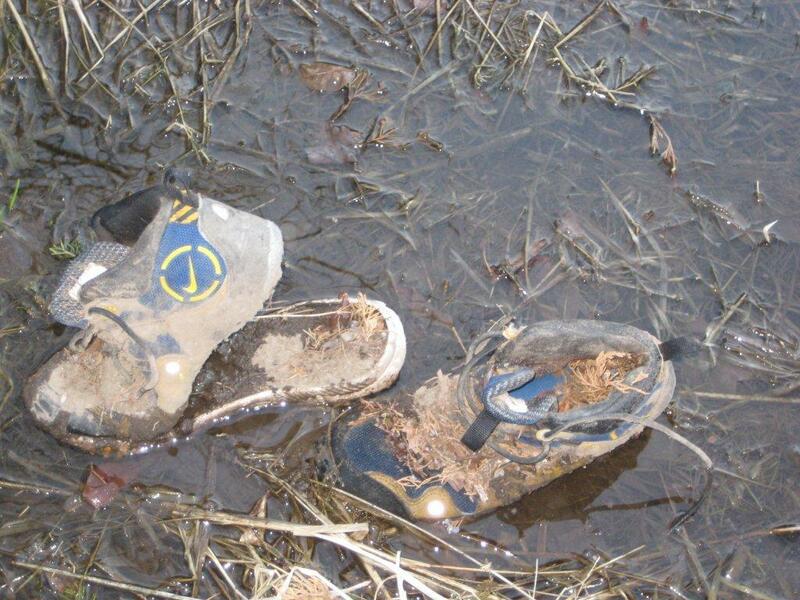 While cutting back buckthorn at about the three mile mark of the course I found this matched pair of Nike trail shoes. They had been pushed to the surface of the mud flats by the spring thaw. I stopped to consider all of the possibilities. None of them good. Those of you who are running the Loop for the first time may want to do the same. It feels good to know that your race founders have remained close friends. 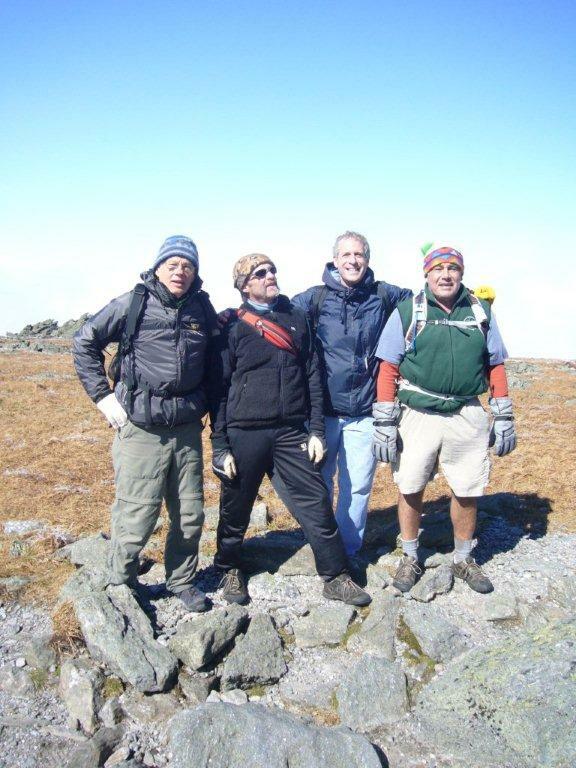 We climbed (and descended) Mt. Washington together last fall and this photo was taken at the top. 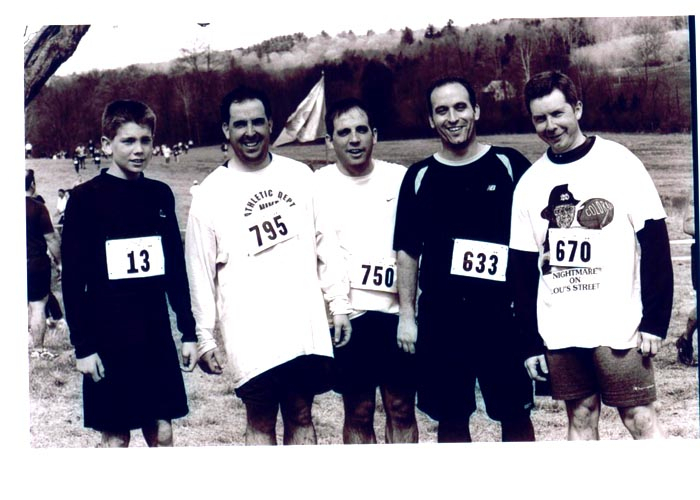 Pictured from right to left are Ken Littlefield, Mitch Stein, Dave Cope and Tony Godino. Technically Mitch is not a founder but has been a great help for most of the years with all aspects of the race. No photos of Pete Thompson (the real fourth founder) are known to exist. 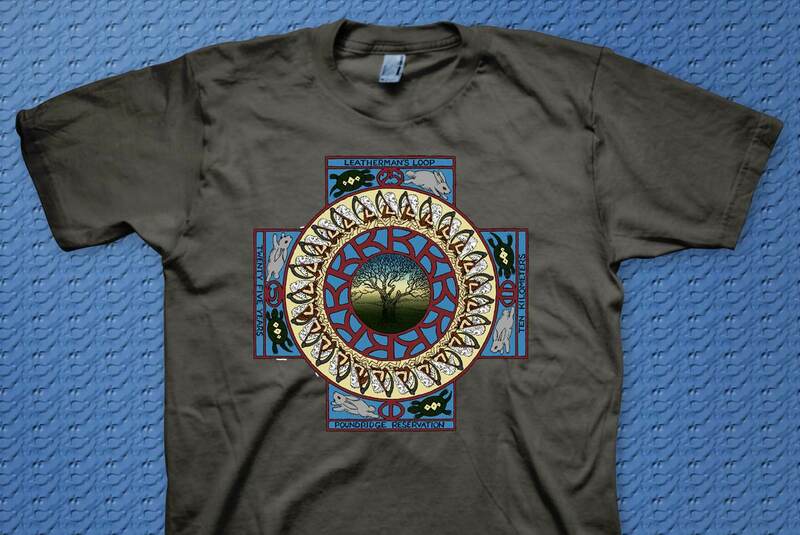 Tim Parshall has drawn the shirt designs for all but five of the loops. This years design features twenty five father times circling a group of ten K’s. We will be screening nearly 1,000 shirts. “Parsh” is an amazing trail runner with numerous top twenty finishes in the Loop. 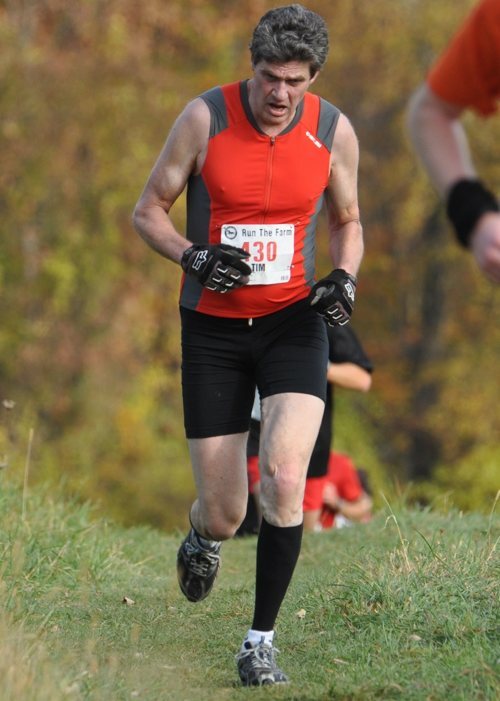 He is even faster on speed skates and won the masters division of the 100k nationals the year that he turned forty. We are fortunate to have him as part of our organizational team. Danny has spent this past year on a “pilgrimage” which took him back to Africa and Italy and of course Ireland. He completed the manuscript for his first book and found an editor/publisher who loved what he had to say. How could you not? Let’s all join in when he recites The Leatherman’s Blessing this time. Caballo (Micah True) will be running with us again this year and so will Maria (La Mariposa Apache) Walton. Find time to talk to these two very special runners. You can get to know Caballo by reading BORN TO RUN or by watching The Super Athletes of the Sierra Madre you tube video. He will be giving a talk at New Balance New Canaan on Thursday April 28th. Call Ron at 203-801-0050 for that one. He will also be speaking at Westchester Road Runner on the night of the race. Call Christy at 914-682-0637 for that one. Maria completed the 50 mile Copper Canyon ultra marathon this March in 12 hrs. and 15 minutes. Over the years we have used a police chief (Drew Marchiano) and a wrestling coach (Joe Amuso) and of course Atka the ambassador wolf as official starters. Probably the most unusual start was facilitated with the help of former New York Mets pitcher Craig Swan with Ken Littlefield doing the catching. I got to make the call. 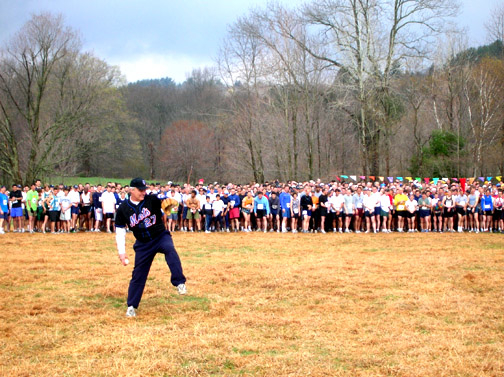 Swan Sets, he checks the runners (about 800 of them) he delivers a strike. The race was on when the ball hit the glove. Tiokasin Ghosthorse has agreed to serve as the official race starter this year. 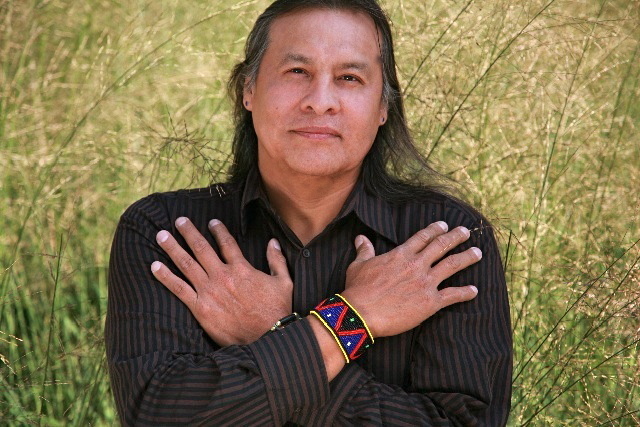 He is a member of the Cheyenne River Lakota Nation and hosts the nationally syndicated radio show First Voices Indigenous Radio. I don’t know exactly what Tiokasin has planned for the start but all that you need to know is that when his Lakota blessing ends you need to get moving. 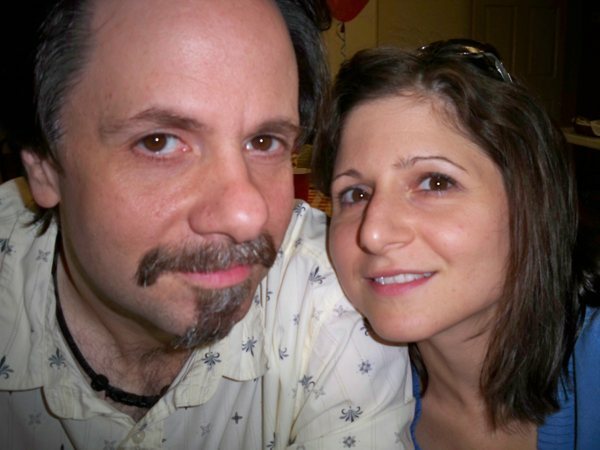 Christy and Dean Leggiero are passing up their chance to compete in order to coordinate filming of this year’s race. Share a story about your experience of running the Loop with them if you get a chance. Smile for the cameras out on the course. You could become a star. A small selection of the 58 runners with more than 10 Loops under their belt: Adrienne Morgan, Nick Ohnell, Kevin Cotter, Bill Bradsell, Paul Muessig, Carol Kane, Rick Hubbell & Joe Stanley (all 24! ), Bob & Doug Goldblatt, Eddie “The Plumber” Donlon, George “Cannonball” Buchanan, Kerry Arsenault, Gerry Sullivan, Mike Paletta, Shirley Iselin, John Krasniewicz, Thomas McShane. These runners and many more are registered to run in Loop #25! Rob Cummings has identified all of the runners who will be competing this year who have run ten or more loops. If you are in this elite group a bell will be rung in your honor when you pick up your race bib. Give a yell if you hear the bell. My wife Judy and Dave and Liz Cope were gracious to let me take the lead in steering the Loop through its first twenty one years. Your race director Mike Paletta and his wife Kate and Rob Cummings have been equally as gracious. The experience for me has involved a lot of time and much joy. Expect a couple of surprises this year as you traverse the course. It just didn’t seem right to disclose everything in this newsletter. 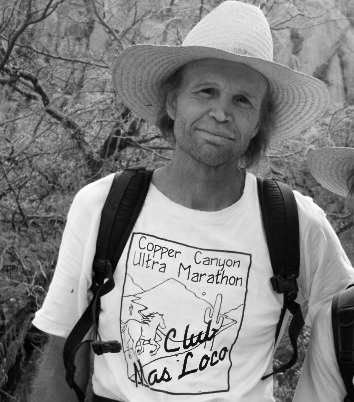 Most of the trail running that the Leatherman’s Loop founders are doing these days happens through memories and stories from the past. Personally, I am still seduced by the pure magic that takes place simply by putting one foot in front of the other out in nature. Most of my understanding of the ways of the indigenous people came to me through my feet. Be open to that as you run some trails that have been used for thousands of years. Let Danny and Tiokasin set the tone for your race and revel with every step. « One Month To Go!